Ceej is a simple, colorful set of emails tailored for account management. The New Account template is perfect for welcoming new users to your product or service. 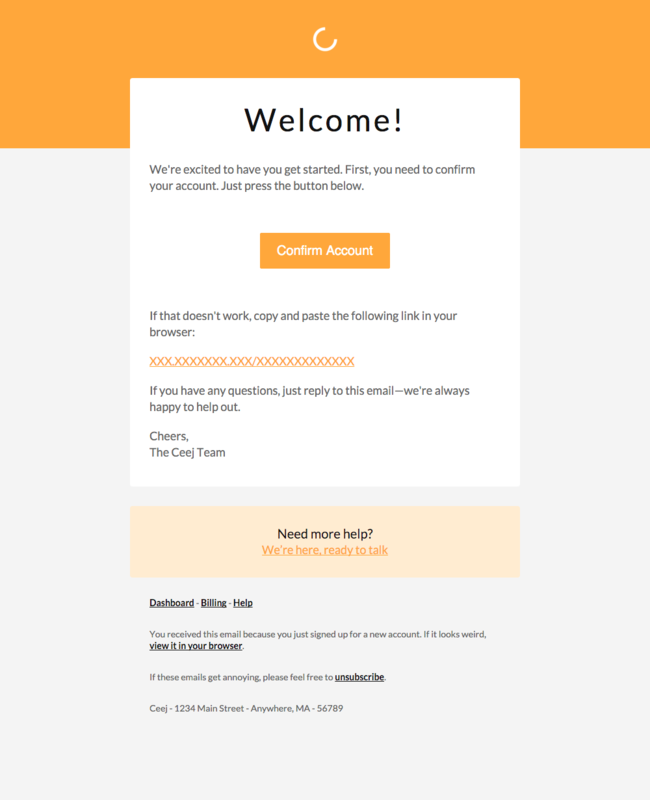 A large call-to-action makes account confirmation quick and easy, with plenty of space for a custom welcome message.